The John George Democratic Club is based in Oakland/Berkeley, California, USA and was founded in 1989. Our goal is to keep the progressive spirit of John George alive. John was the first African-American elected to the Alameda County Board of Supervisors. 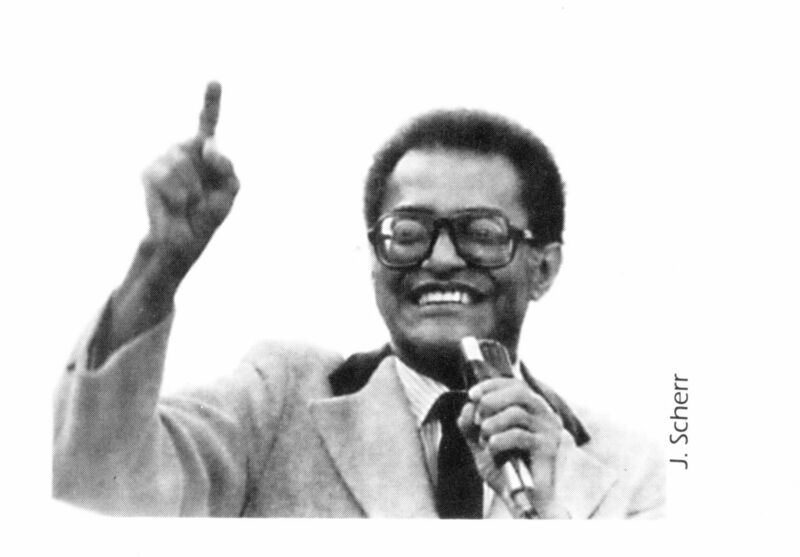 For over 30 years John George worked tirelessly to improve the plight of people of all races and cultures, seeking peace and justice from West Oakland to South Africa. The Club was founded shortly after he died. Build an ongoing electoral vehicle for both progressive candidates and issues in the East Bay. Work within the Democratic Party to influence its policy regarding the concerns and rights of those who have been historically disenfranchised. Provide a forum to stimulate interest in governmental affairs and other issues of interest to the membership. In 1978, John George was the first African American elected to the Alameda County Board of Supervisors. He served for over 10 years as the voice of conscience on the Board, emerging as the leading proponent of the health care, welfare, and workers’ rights of all County citizens. He was an early activist in the struggle for civil rights and affirmative action. He was also a long-time leader in the local Anti-Apartheid movement. The John George Democratic Club was founded in his memory and in an effort to keep his voice and vision alive in the Democratic Party. Please let us know if you would like to join us on the steering committee!